There’s an argument raging across the country. OK, so food laws, food guidelines and government’s involvement with food generally can be about the health of the people, sure, but the health of the planet? Things came to a head with the Scientific Report of the 2015 Dietary Guidelines Advisory Committee (or DGAC). The DGAC is the powerhouse of physicians and food academics tasked with writing up current science so the Federal government can develop an informed national nutrition policy. In turn, the government can then prepare its Dietary Guidelines for Americans, which it does every 5 years. The U.S. population [should] move toward dietary patterns that generally increase consumption of vegetables, fruits, whole grains, legumes, nuts and seeds, while decreasing total calories and some animal-based foods. Promoting healthy diets that also are more environmentally sustainable now will conserve resources for present and future generations. Doesn’t sound too controversial. But the report goes on to quote a series of scientific reports from around the world that link healthy diets to environment footprints, so eating in a healthier way seems actually also to promote sustainability of resources like fuel and water. The DGAC concludes about these reports: “higher consumption of animal-based foods was associated with higher estimated environmental impact”. If our government believes Americans should factor sustainability into their choices, guidance should come from a panel of sustainability experts that understands the complexity of the issue. It appears the advisory committee was more interested in addressing what’s trendy among foodies than providing science-based advice for the average American’s diet. Here in Los Angeles we are ahead of the curve, perhaps, lucky enough to have food policy shaped by innovators. The LA Food Policy Council, created in 2012, is an independent multi-stakeholder initiative located within the Mayor’s Office to advance innovative food policies. And it has bite. If we’re serious about health and healthy eating then we need to also be serious about a healthy food system, in which food that is good for you is available to us in the future. 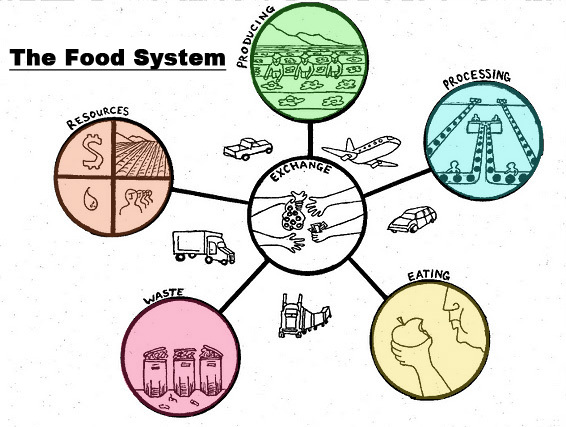 Growing practices, labor practices in the food system feed into what makes our food system truly sustainable. That’s our source of nourishment for the future. It’s appropriate that we think about the interrelationsip between human health and environmental health; there’s really no separation. The super effective tool the Council has created to implement its mission to encourage a just and sustainable food system is called the Good Food Purchasing Program. To fulfill the dream this policy represents you need major institutional purchasers with serious food budgets to send market signals to growers of local, sustainable, humane food that they have business; and they also send signals to actors not on board with those values that they need to start moving in that direction and change if they want to continue with contracts. Effectively they’re saying to vendors: “tell us how you are going to be a 5 star good food provider”. Sounds good to us. Let’s applaud and support Los Angeles taking the lead in this. There is no conversation to be had about health and nutrition for people if it does not consider its impact on the planet and the health of its soil. Compare the work of Bill McKibben’s 350.org: it has identified the folly of colleges investing in fossil fuels that will destroy the very planet its students are being educated to live on. So must we see the holistic connection between our health and the planet’s health. 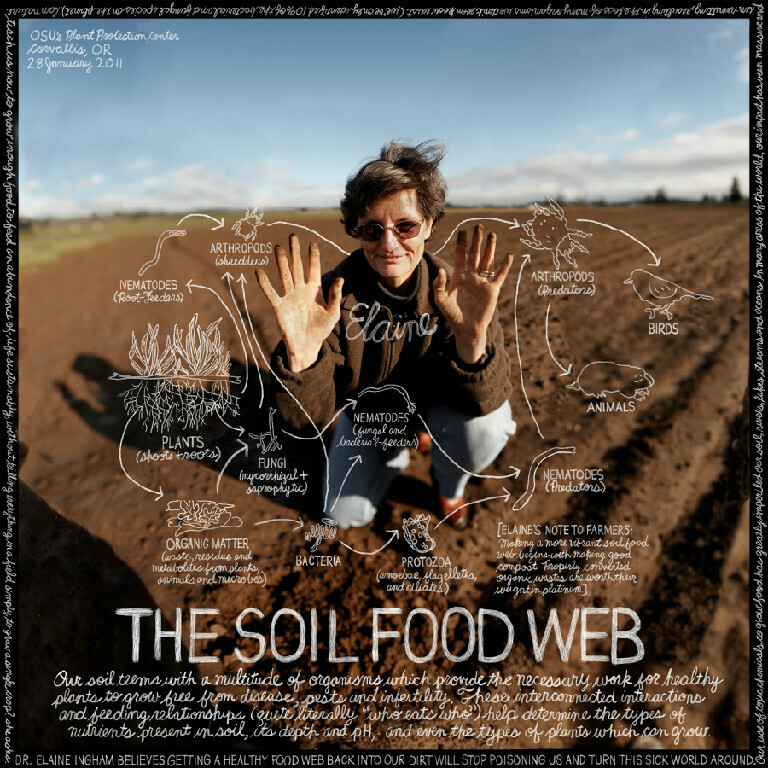 US soil microbiologist Elaine Ingham, of Soil Foodweb Inc. fame, has shown that the quality of our soil affects the quality of our food and its fundamental ability to nourish us – and every time the soil is disturbed, or artificial fertilizers and pesticides are applied, soil life is killed and soil structure compromised. Research such as the China Study and the myriad reports referenced by DGAC indicate that lowering our consumption of red meat, processed meat and sugared drinks whilst upping the amount of vegetables, whole grains and fruits we eat is healthier for us – and may even promote longevity too. The fact that growing produce and grains (when it’s done responsibly) can also be more sustainable means we can marry a positive change in our diet with a positive change for our world. As successful as we may be on local levels, without some fundamental change in federal policy we are always going to be trying to tweak things at the margins. We’re going to hit the limit of what we can accomplish on the local level and we’re going to have to see change on a federal level. So if the USDA takes the DGAC advice, all to the good. But what we’re seeing is a little dizzying: one side of the USDA spending billions supporting GMO corn for the massive beef and pork feedlots, the other about to advise us that this practice cannot go on, as sustainability has to be part of our vision of nutrition and health. Buckle your seatbelts, because this debate will be furious. The government, with these guidelines, by joining the conversation about the connection between nutrition and sustainability, has opened up a can of organic worms from Big Ag’s perspective. But the reality is what the organic and sustainable food movement has been pressing for, for years: we need a public policy that supports sustainable farming, otherwise change will not come fast enough.